Bollywood's millennium star Amitabh Bachchan's daughter Shweta Nanda will soon be seen on the silver screens doing acting. Well, this seems to be quite interesting that after Abhishek Bachchan now Shweta is all set to make a debut on the big screen. Well, till now from the Bachchan family, it was only Shweta who was absent from the movies. Not only just her acting debut, Shweta is going to start big with her father Amitabh Bachchan himself and we don't think anything could be better than this. To break the reality, we want to inform you that since Amitabh Bachchan is the brand ambassador of Kalyan Jewellers, it will be their ad campaign in which they both will be seen. 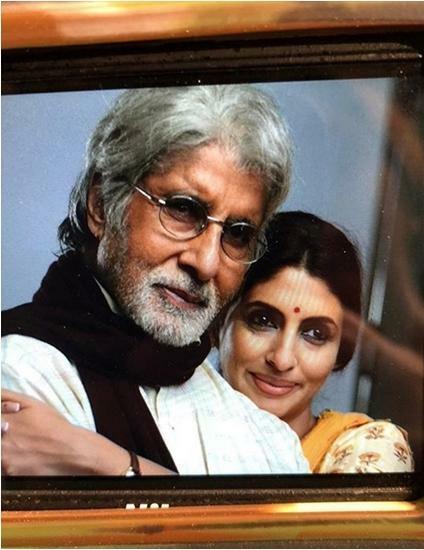 This was Kalyan Jewellers' idea to bring Shweta on screen this time with her father Amitabh Bachchan. It surely is a great news for the fans since it will be the very first time when Big B and his daughter will come together on TV screens. It is known fact that Amitabh Bachchan shares a lovely relation with his daughter Shweta and this what the makers want to bring on Television screens. Recently Shweta Bachchan Nanda also announced the launch of a book written by her. It seems as if Shweta is trying her hands on everything around her. While on the professional side, Amitabh Bachchan is these days happy with the response of his recently released film 102 Not Out.